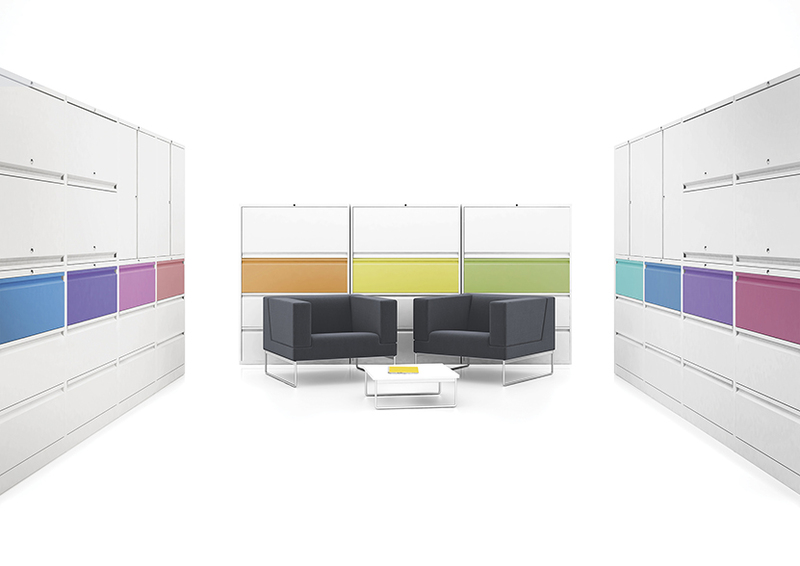 Steel storage doesn’t have to be boring, why not used coloured steel storage to brighten up your office? 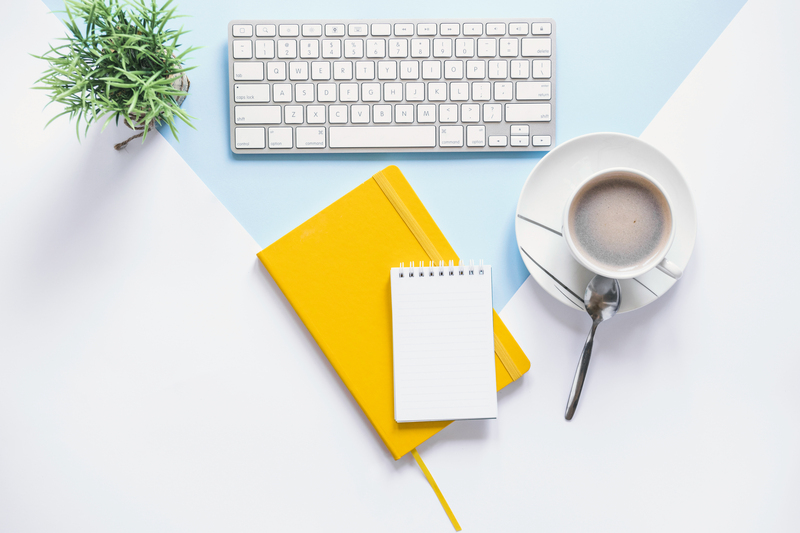 It is unique and will help the mood and moral in the office too and doesn’t everyone want a happy office? As well as a range of wooden storage units we also provide a large array of steel storage options. 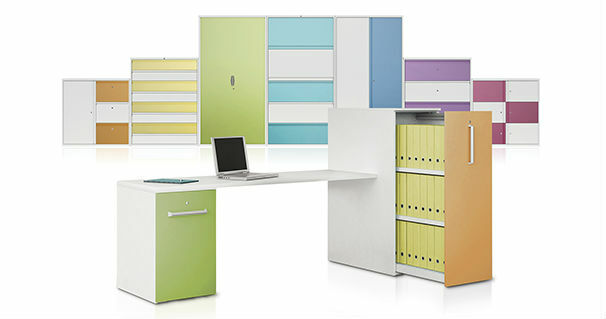 These can include filing cabinets, tambour cupboards, side filers and more. We have steel storage with proven solid construction reinforced by 5 to 10 years guarentees from manufacturers such as Bisley or Silverline. Pedestals make the ideal personal steel storage partner for any desk configuration; including beam, under desk and desk high models. All units offer anti-tilt functionality built in as standard. A concealed finger pull on both sides of the drawer finishes off the clean, smooth lines of the pedestal range. Two-Door Cupboards are also available in a choice of heights with or without shelves or rollout filing frames, designed specifically for general storage and filing. 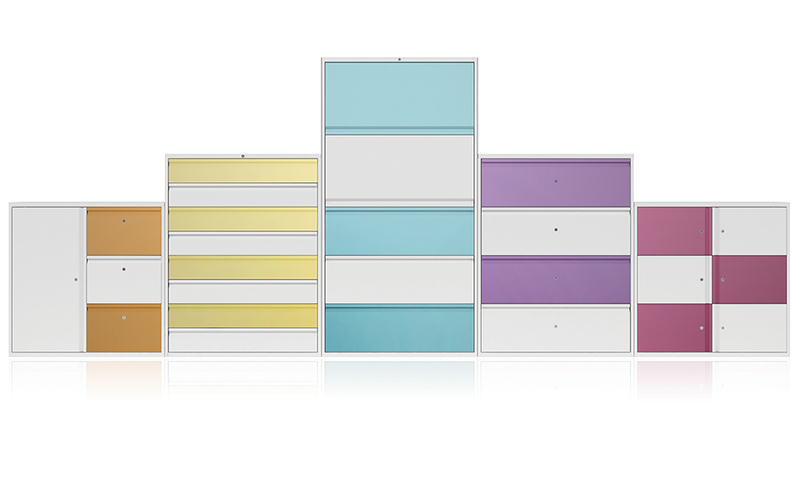 Tambour storage units available in a wide variety of colours and sizes. An extensive range of internals with numerous height width & closure options. Part of the steel storage range is side filers. These can be used to pair up with filing cabinets and are a great way to keep your files in one place, organised and tidy. 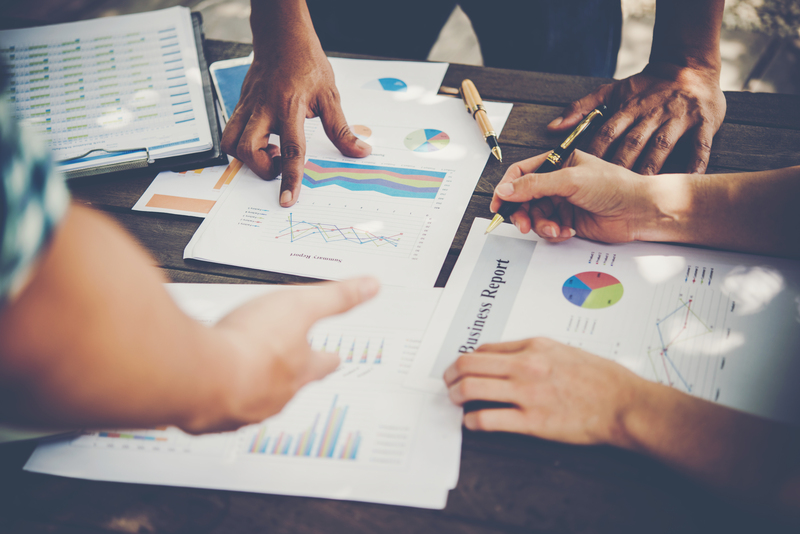 The positive aspect of the side filers is they hold much more than a filing cabinet, infact 30% more room and take up less floor space which in a small office can help massively. Filing cabinets are still safe and efficient storage solutions, although Tambour door cupboards are being used in more locations now as you can utilise the height of the room and combine suspension filing with shelving, filing cabinets are still used in many offices. Ask us about our pre-loved filing cabinets and storage cupboards too.